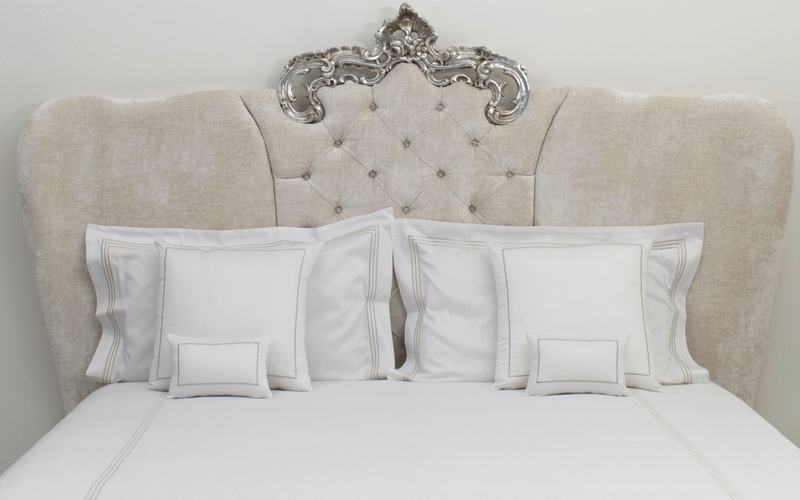 AMBRA beds by ORSITALIA: Italian bespoke contemporary baroque style for luxury bedrooms, in strong natural wood, inside and outside, completely upholstered by Orsitalia’s skilled handicraftsmen. Orsitalia characterize Ambra beds collection with a beautiful touch of baroque style in the middle of the bedhead and in baroque feet. 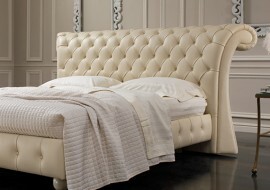 Orsitalia customize fabric or leather beds Ambra both in sizes, in a wide choice of textiles and colours, in wooden lacquering or silvering making Ambra baroque bed a unique piece of furniture of Italian Designs, 100% produced in Italy. Ambra King size bed draws inspiration from the styles of the past, remake with a contemporary design by Orsitalia’s Designer. To strongly characterize the project is the head slightly curved at the side and a precious embrodery with jewel buttons. 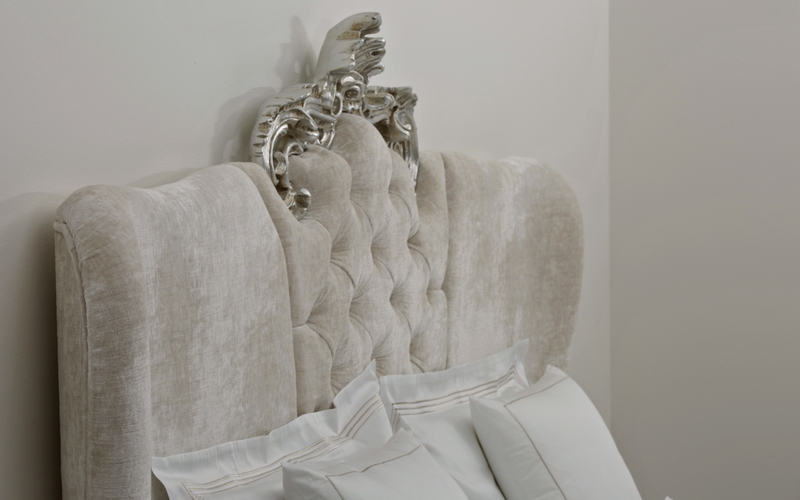 Orsitalia’s young designer wanted to give, to the central baroque carving, a warm finish that matches perfectly to the 3D velvet chosen to dress Ambra luxury bed by Orsitalia. 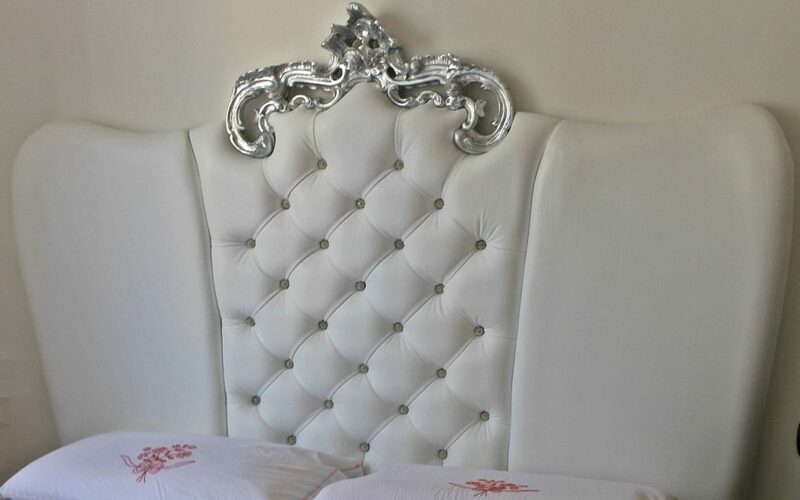 The tufted headboard has small jewelry buttons that can be customize in shapes, materials and colors, giving more uniqueness and style to this piece of furniture. To conclude, AMBRA is distinguished by high quality of the materials used and the skill of artisans who with extreme care give life to each centimeter of Orsitalia products. Customized wooden finish and textile with a wide choice of colors. 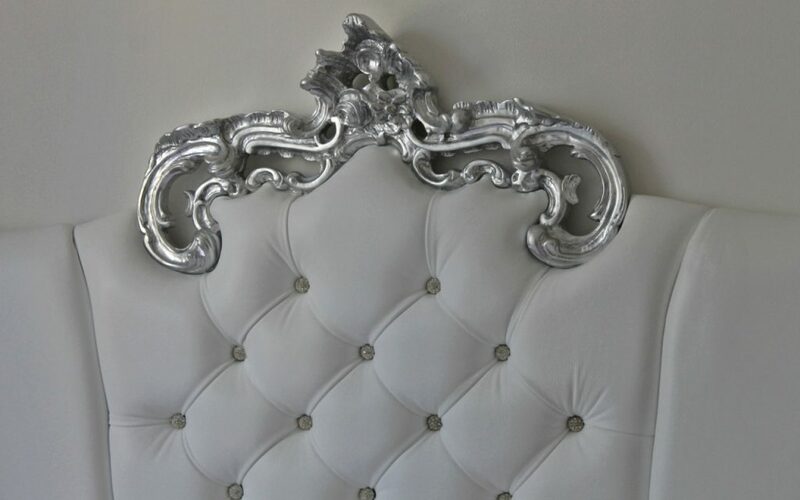 Tufting diamond-shaped to match to carved wooden crown of beech wood. 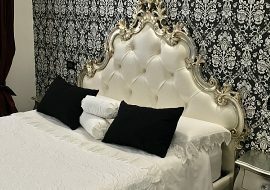 Wide Customization available for covering materials: italian velvets, damask silk, grain leather, vintage leather, fire resistant high quality fake leathers for Contract use. The Queen, King or Super king Size double bed with upholstered bed base is delivered disassembled with easy and fast construction (metal angles for support of slatted bed already climbed on bedframe), just four bolts to put. The beds with storage base are delivered already assembled, you have just to hang the bedhead to the basement on harware already fixed on it.